Suspected Somali pirates have hijacked a merchant ship with 27 crew off the sultanate of Oman, the head of a regional maritime group said on Saturday. Andrew Mwangura of the Kenyan-based East African Seafarers Assistance Programme said the pirates had seized the Thai-flagged vessel early on Saturday. "Reports reaching Mombasa ... indicate that early this morning pirates sized MV Thor Nexus some 350 nautical miles east of Salalah, Oman," Mwangura said in a statement. "The ... bulk carrier and 27 all Thai crew members were taken by pirates while under way to Pakistan from the United Arab Emirates." Alert number 565 / 2010. 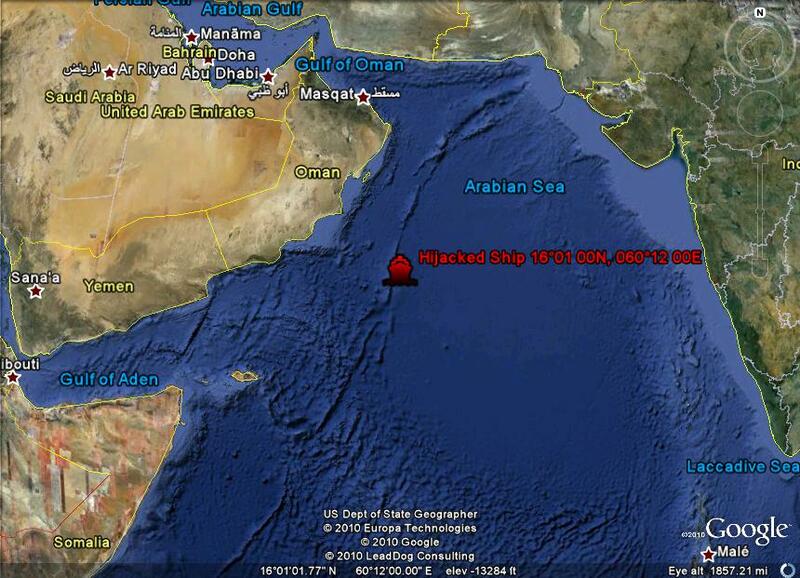 At 0140 UTC /25 DEC 10 / a merchant vessel was reported Hijacked by pirates in position 16°01 N 060°12 E.